On Cutthroat Kitchen, I use the Sound Devices 970 as a discrete backup for my Pro Tools | HD system just in case there's a hard drive failure or a computer hiccup. The 970 runs in parallel to archive all the recorded elements until post production cuts all the episodes for the season and gives me the “OK” to delete it. I chose the Sound Devices 970 because I wanted something that wasn't computer-based. I wanted a box that was going to back up everything to an SSD. For me, a solid state drive is really the way that production recording is going. Ever since I started using the solid state drive, we're bulletproof when working with the Sound Devices gear. The benefit of using the Sound Devices 970 is that there's no lag from the time you press the record button to the time it all syncs up and goes. Every time I record for television, I'm recording to an external timecode source and usually an external clocking source; I'm punching in and out of that timeline all day long. Sometimes when you run a computer-based system and you move the cursor to the record button and click, it takes just a moment for the computer's processors to react, especially when we are using 7200 RPM drives. On the 970, you press play or record and the reaction is instant. I'm using the 970 with MADI and hitting Pro Tools MADI as well. I also split that same MADI stream out to the control room for monitoring. It works flawlessly. The 970's unique PowerSafe™ and FileSafe™ capabilities are standout features that additionally led me to use the recorder. While I have never needed to use either out in the field, these features give me the peace of mind that my recordings are intact. When you are on set or out on location, recording multiple channels, it could be a total disaster to lose an entire take. In the event of a power failure or corruption of a file, knowing my files are being saved is great for me. I am really impressed by how intuitive all Sound Devices gear is. I've used Sound Devices equipment in below freezing temperatures and didn't have any problems getting the gear to power up, be ready to go and record for the whole day. In addition, their customer service is amazing. The personnel help you get up and running quickly. For me, that's gigantic. 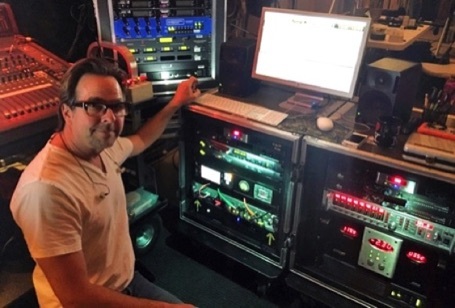 In addition to using the Sound Devices rack-mount 970 on Cutthroat Kitchen and Camp Cutthroat, I have also used Sound Devices portable mixer/recorders, such as the 688 and 664, on various projects, including FOX's Utopia, which utilized 130 robotic HD cameras, MTV's new comedy shows Acting Out and Martha & Snoop's Potluck Dinner, as well as SPIKE TV's live reunion show Back to the Bar. 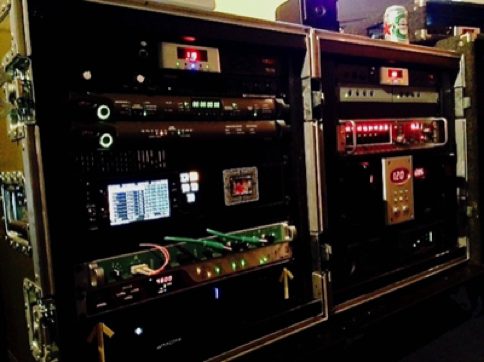 The great thing about Sound Devices is that their equipment is made by sound people. All of the file naming and just the way the machine functions; it's clearly made by people who know exactly what it is that we need out in the field. As an A1/ Sound Supervisor, I have had the privilege of spending the past two decades working in an industry that I am passionate about. Over the last five years, I have been heavily involved with cooking competition shows, including the Food Network hit, Cutthroat Kitchen. When I was looking for a discrete backup for Cutthroat Kitchen, I turned to the Sound Devices 970, a 64-track Dante and MADI-equipped multi-track audio recorder. Sound Supervisor chooses the Sound Devices 970 multi-track recorder as a discrete backup for Food Network hit Cutthroat Kitchen.